How does India build a financial market that serves the needs of the real economy without repeating the mistakes of the West? On the tenth anniversary of the 2008 crisis, the discourse in India has largely focused on the measures taken by the Reserve Bank of India (RBI) in the immediate aftermath of the crisis. Indian financial institutions had limited exposure to the global financial markets since such exposure was intensely regu­lated. 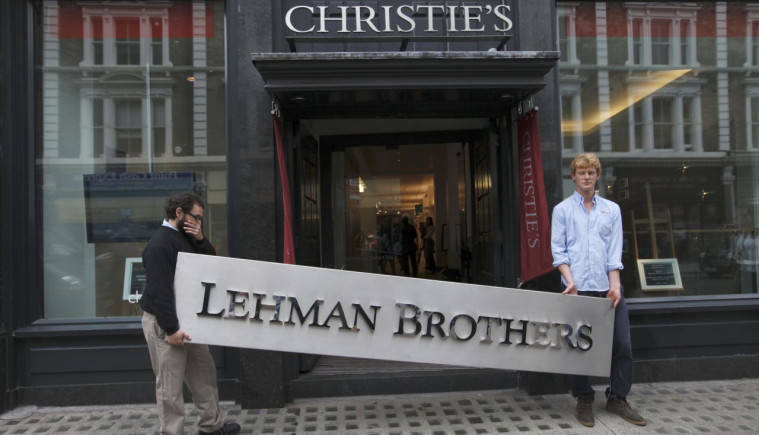 Resultantly, in the short run, the effect of the crisis on India was largely limited to the sale of Lehman's Indian operations, speculation of a run on India's largest private sector lender, and liquidity crises for some financial institutions such as mutual funds. This reinforced the doctrine that India is safer when less integrated with the global financial system; our banks were better off not dealing in complex derivative products; and that our controls on foreign capital served us well. Consequently, participants in an economy growing at a reported 8 percent continued relying largely on banks for their financing needs. However, in the absence of sound banking regulation, lending continued unabated to firms that were already stressed as well as those that became stressed due to the 2008 crisis. Ten years and a non-performing asset crisis later, it is evident that an under-developed and less globally integrated financial market is not the real answer to a 2008-like crisis. How does India build a financial market that serves the needs of the real economy without repeating the mistakes of the West? What lessons has she learnt from the world since 2008? How do we build a financial regulatory architecture that will support market development and keep us safe in times of crises? Global financial regulatory reform after 2008 focused on three macro themes: regulation of systemic risk; making over-the-counter (OTC) derivatives markets safer; and avoiding over-concentration of risk, whether in the form of too-big-to-fail entities or otherwise. Other reforms that feed into these macro themes such as strengthening capital adequacy and liquidity norms for banks, and reforming credit rating agencies have also been part of the global work program. In the decade that followed, India took small ad-hoc steps to comply with the recommendations of international bodies such as the Financial Stability Council and the G-20, to which she was newly admitted. However, we missed our local context and failed to implement structural reforms that could achieve the dual goals of market development and financial stability. First, systemic risk regulation requires policymakers to move away from the notion of entity- or sector-specific regulation to cross-sectoral system-level thinking. A key lesson of the crisis is the impact of inter-connectedness of large firms (regardless of the sector they belong to) that can lead to contagions across the entire financial system. Financial interconnectedness is the network of credit exposures, trading links and other relationships between financial agents. It matters because it serves as a conduit for contagion. The failure of a large interconnected entity can spread rapidly and extensively across the financial system compared to entities that are not as inter-connected. For example, the failure of a large industrial house engaged in manufacturing activity could adversely affect the financial system. Regulatory thinking on this front is near-absent. Designing a regulatory framework for systemic risk involves three components - building an agency for monitoring cross-sectoral systemic risk; designing a regulatory framework for identifying systemically important financial institutions and their regulation (such as higher capital adequacy and liquidity norms and stricter surveillance); and a framework for their smooth resolution should they fail. So far, India has largely taken a sector-specific and entity-driven regulatory approach towards systemic risk. For instance, RBI's framework for regulation of systemic risk deals with banks and lending entities only. Similarly, the Securities and Exchange Board of India’s (SEBI) framework focuses on the systemic risk embedded in infrastructure institutions (such as exchanges and clearing agencies) in the securities markets. The Insolvency and Bankruptcy Code, 2016 does not cover resolution of financial institutions. In the US, this realisation led to the establishment of the Financial Stability Oversight Council (FSOC), comprising state and federal financial sector regulators. The FSOC was tasked with the responsibility of identifying and regulating systemically important financial firms, across sectors. The law embeds checks and balances against the powers of the FSOC, by building in an appropriate rule-of-law framework. Elements of this framework came to the forefront in 2016 when Metlife, the largest life insurer in the US, appealed against the decision of the FSOC designating it as a systemically important institution. In India, such inter-regulatory co-ordination has at best been half-hearted, even while turf consciousness has been further hardened. For instance, the Financial Stability and Development Council (FSDC), headed by the finance minister and comprising representatives of the ministry of finance, ministry of corporate affairs, RBI, SEBI, Insurance Regulatory and Development Authority of India, Pension Fund Regulatory and Development Authority and the recently constituted Insolvency and Bankruptcy Board of India, is intended to be a platform for such co-ordination without concrete legislative stipulation on its role and objectives. It is tasked with multiple motherhood goals (such as financial literacy, financial inclusion, and macro prudential supervision) but its objectives and effectiveness remain unclear. Most importantly, it would not be accountable for failure. In 2017, the government took a decisive step by tabling the Financial Resolution and Deposit Insurance Bill, which contained the regulatory framework for identification of systemically important financial institutions. Largely based on the recommendations of the Financial Sector Legislative Reforms Commission (FSLRC), the draft law comprehensively provided for the governance of such firms, and their resolution should they fail, but the bill was withdrawn. Second, global regulatory reform for strengthening the OTC derivative markets since 2008 involved mandating compulsory reporting or centrally clearing OTC positions. It is noteworthy that despite the scale of the crisis, exchange-traded contracts were honoured and central counterparties did not fail. The key insight here was that OTC markets warrant more transparency and certainty of the contracts being honoured. Consequently, OTC positions of a certain kind and size must be compulsorily centrally cleared, that is, a central counterparty must take on the obligation of honouring the contract in case of default by either party to the contract. Under Indian law, OTC derivative transactions in debt securities (such as interest rate forwards, credit default swaps) are envisaged with one of the counterparties compulsorily being a bank or a RBI-regulated entity. The regulatory constraints on participation has ensured a near-absent and shallow market. Consequently, the Indian market does not provide a platform that would allow people to hedge their risk from Indian debt. The same applies to OTC derivatives on currency and other RBI-specified instruments. Thus, on this front too, substantial work needs to be done to achieve the dual goals of market development and financial stability. Finally, on over-concentration of risk, a key insight is the availability of a diverse array of financial products. As they say, diversification is the only free lunch in finance. Indian policymakers continue the approach of financial repression by compelling regulated entities to invest in safe Indian securities. The regulatory framework for capital outflows has not undergone much change since 2008, and Indian residents are still allowed to invest only in vanilla products outside the country within certain caps. The crisis, if anything, has made policymakers only more risk averse. Partly driven by currency management concerns and partly by financially repressive policy, Indian firms continue to be over-exposed to Indian securities, which exacerbates the possibility of contagion. The short-term effect of the crisis of 2008 on India may have been muted. This is largely attributable to the un-integrated and underdeveloped nature of the Indian financial markets. What it does not mean is that being under-developed can remain a strategic policy. A good politician never lets a crisis go to waste. These ten years may well present a missed opportunity for implementing long-term structural reforms. Yet, one need not wait for another crisis to effect the reform described above. A lot of research literature and ground work in the wake of the FSLRC presents an excellent base to build on.